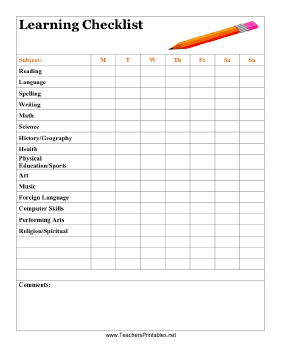 This free, printable learning checklist lists subjects that students might be taught and allows them to mark the classes that are covered for every day of the week. This includes spelling, history, health, music, language and art. A section is also provided for comments and notes.